Government has laid down the National policy on Indian Systems of Medicine & Homoeopathy-2002 which inter-alia envisages overall growth and development of Yoga. 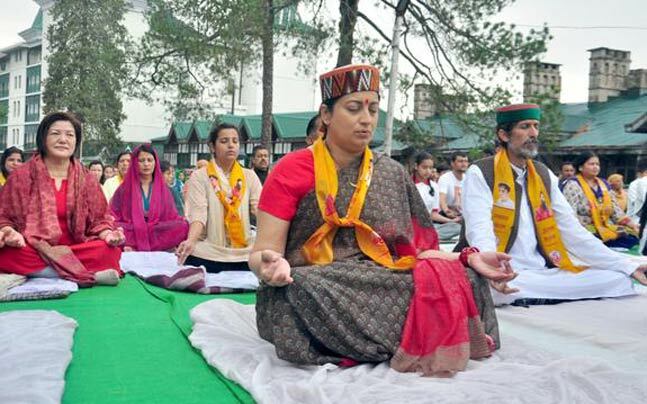 The Government of India has formulated the programmes and operational measures for promotion of Yoga through Centrally Sponsored Scheme of National AYUSH Mission (NAM) and various Central Sector Schemes. Further, a Task Force has been constituted by the Ministry to deliberate and make recommendations on various important issues concerning the Ministry of AYUSH, including the preferred option for promotion, development and regulation of Yoga & Naturopathy for education and practice. 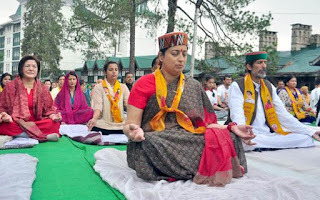 The Ministry of Human Resource Development (HRD) has informed that the National Curriculum Framework (NCF) 2005 which is a policy document for the country, recommended Yoga as an integral part of Health and Physical Education. The Ministry of Human Resource Development has further informed that there are 15,962 schools affiliated to the Central Board of Secondary Education (CBSE), who have already been advised to provide compulsory 40-45 minutes of Physical Activities or games to the students of classes I- X every day and that students of classes XI- XII should participate in physical activity/ games/ mass physical training/ yoga for at least 2 periods per week (90-120 minutes/ week). The Board offers Physical and Health Education for classes XI and XII and Yoga is compulsory part of its curriculum. Yoga Education has been made a compulsory part of study and practice by National Council for Teacher Education(NCTE), a statutory body under Ministry of Human Resource Development, through its 15 Teacher Education Programmes, viz., Pre-School Education to Elementary Education; Secondary; Senior Secondary; Physical Education; Distance Learning etc..
NCTE has already developed modules on Yoga Education for Diploma in Elementary Education and master of Education. These will be used by more than 18000 Teacher Education Institutions and also 14 Lakh student –teachers and teacher educators who are studying and /or teaching in these institutions.